I have been talking about ditching Facebook for a very long time. I’ve noticed that I don’t really get much out of it, save for the joy of interacting with my Internet Party buddies* and the convenience of the events function. It provides a whole lot of social contact, but most of it feels sterile and lacking in any kind of feeling. Rather than increasing the amount of time I spend communicating with my friends in meaningful ways, social media has reduced most of our interaction to mostly truncated chat conversations, flitting back and forth across the internet with the odd emoticon thrown in for good measure. That’s if we bother to get in touch at all: the fact that every friend’s life is played out in public announcements and slideshows of holiday and baby photos kind of removes any reason for one-on-one contact. Why would I bother asking what they’re doing when it’s all there, right in front of my face? I’m not even calling friends and family on the phone anymore – the fact that it’s so easy to get information about what people are doing with their lives has led to me no longer making the effort to make actual contact with those I care about. I think this is why I have spent so much time over the last few months writing letters and sending tokens to friends and relatives through the mail. Since I started my mailing madness, I’ve received a number of appreciative messages from those who’ve received my postcards, scribblings or cards for the first time, ironically all via Facebook. They’ve all told me how excited they were to receive post that wasn’t bills or junk mail, yet I very rarely get replies in my own letterbox. I don’t know how to feel about all of that. That said, the process of writing a letter is not a short or easy one. While my writings are often pretty mundane, doing little more than recounting the major events of the last few months, sometimes they become these massive rambles through the buzz between my ears. Some who have found letters from me in their mailbox have received long-winded reflections on gentlemen I have admired, the death of family members, angry political ranting and various other strange stream of consciousness something or others. Often I will start a letter and find myself seven pages later, wondering what on earth has spilled out of the end of my pen. It might not be good, but it’s written, so I seal it up, pop on a stamp and stick it in the nearest post box. They’re not letters of note, but it still feels good to write them and send them out into the world. I don’t just spend time on the writing of the letter. I also enjoy making my notes into unique mementoes, almost hoping that they will be kept long enough to be found in years to come in the middle of a garage sale or spring clean, evoking memories thought long gone. I buy fancy notepads with a ridiculous amount of different designs in each one, so that no letter contains the same paper twice. If I am using plain white envelopes, I cover them in stickers and scribbles, so that my excitement at it being received is perceivable even before it is opened. Sometimes I splash out and buy envelopes in different colours and textures, sealing them with wax and my own personal mark. It’s a ritual to me, and I love every second of it, knowing that the time I spend just shows the person I am writing to just how much I care about them. The fact that we are losing the art of letter writing to the social media age is a tragic one, because the act of taking a page and letting your mind wander onto it via a pen is just magical. 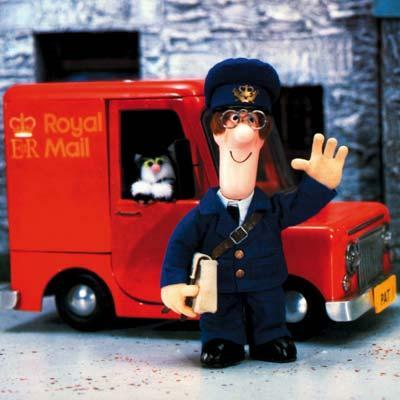 There is no reason to reduce a relationship to little more than characters on a computer screen, especially when you can enhance it with some nice paper, a bit of glitter or a few stickers, some heartfelt words and a pleasant surprise, care of your local postman. * While Internet Party are heavy Facebook users (Zuckerberg practically owes us commission), they are the people to whom I write and receive the most letters, so using them as a reason to stay on Facebook is kind of weird. ** For the record, it’s really hard to get people to give you their postal address, and when they do, they often forget to update you when they move. So if you are one of those people who do that and would like to hear from me, feel free to leave a note here. 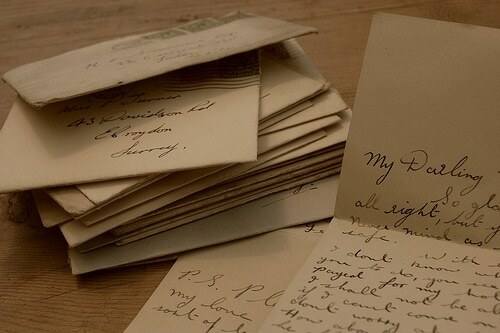 Letters of Note: Where amazing correspondence from amazing people (some of whom are famous, some are just incredible writers with incredible stories) is brought together to make one of the most riveting websites on the net. More Love Letters: Leave a positive note for a stranger, or write to someone who needs a kind word. Bring a little bit of light to the world using your words, a pen and some paper. Women of Letters: A fantastic, Melbourne-based event all about the power of the written word, with a different theme for each event. They regularly tour around Australia, and occasionally head overseas. I went to one in Canberra last year, and it was one of the most inspiring things I’ve ever experienced. You should totally go if you get the chance. Next To Be Awkwardly Early? Or Fashionably Late? I love getting letters from you, Noni! But I have to disagree with you re: social media. Yes, I see a lot of junk from a lot of people I don't care about, but social media has facilitated some of the best conversations, has rekindled old friendships that would never have been, and has kept me sane since moving away from my home town. I think you just need to filter it a bit better! Don't leave facebook, Internet Party would be missing something important without you. I really do have a love/hate relationship with Facebook. Twitter I still love with an intense passion. But Zuckerberg's Baby has been a two edged sword – no matter how hard I filter, I still get invites to pages like, “Bro, she does squats”. I don't think I'll ever really leave it, because it is a great tool, but I am keen to move away from using it as my main communication method. Because really, I can do all the stuff I do on it by making a phone call, chatting in another client (like Google Talk, right there in my email!) or writing a letter – it's a little more effort, but the reward is also greater. That said, the events function is crazy good and I love it, but not as much as I love Internet Party.